Yevgeniy Feyman is an adjunct fellow at the Manhattan Institute. He writes on health care policy, entitlement reform, and the Affordable Care Act. His research has focused on a variety of topics, including the physician shortage, the cost of health care reform, and consumer-directed health care. 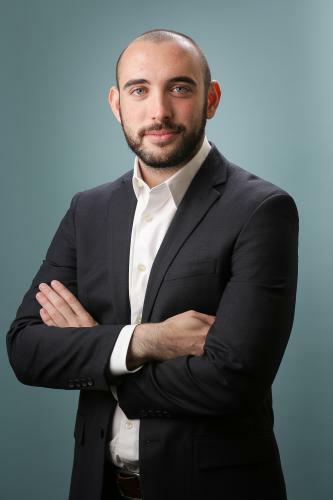 Feyman was previously the deputy director of health policy at the Manhattan Institute and is currently a research assistant in the department of health policy at the Harvard T.H. Chan School of Public Health. In 2013, Feyman, with colleagues Avik Roy and Paul Howard, released the Obamacare Impact Map, a state-by-state look at the effects of the ACA. The map was cited numerous times on Capitol Hill; Republican strategist Karl Rove called the map an “indispensable tool” in understanding the law’s effects on Americans. Feyman has written for publications including National Affairs, The New York Times's Room for Debate, Boston Globe's STAT, Health Affairs, and Politico. He has spoken on numerous radio and TV shows and is a contributor to The Apothecary, the Forbes health-care blog on health care policy and entitlement reform. Feyman holds a B.A. in economics and political science from Hunter College of the City University of New York.